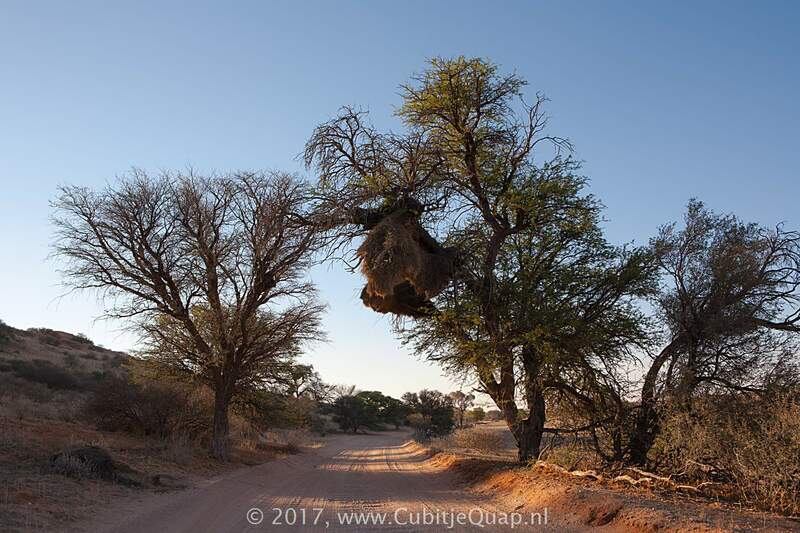 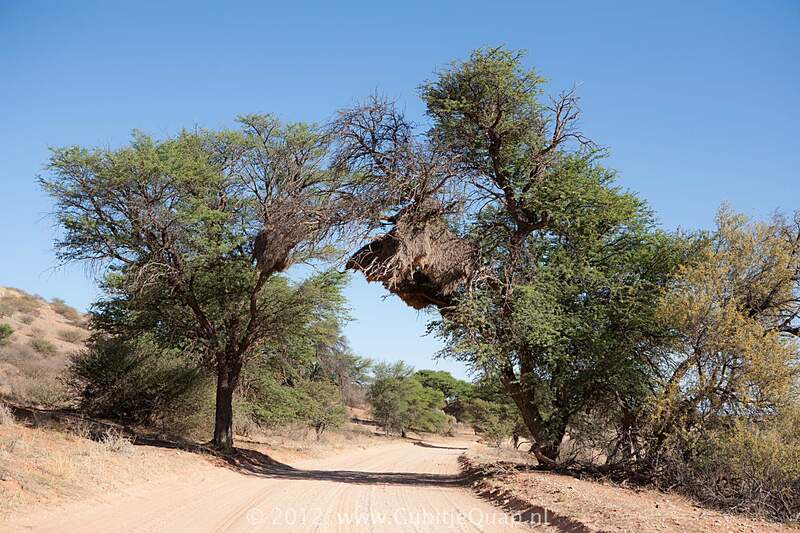 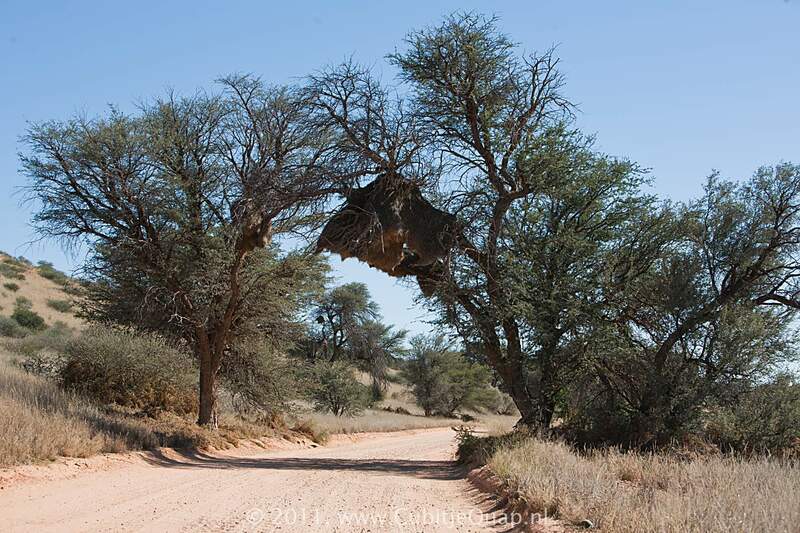 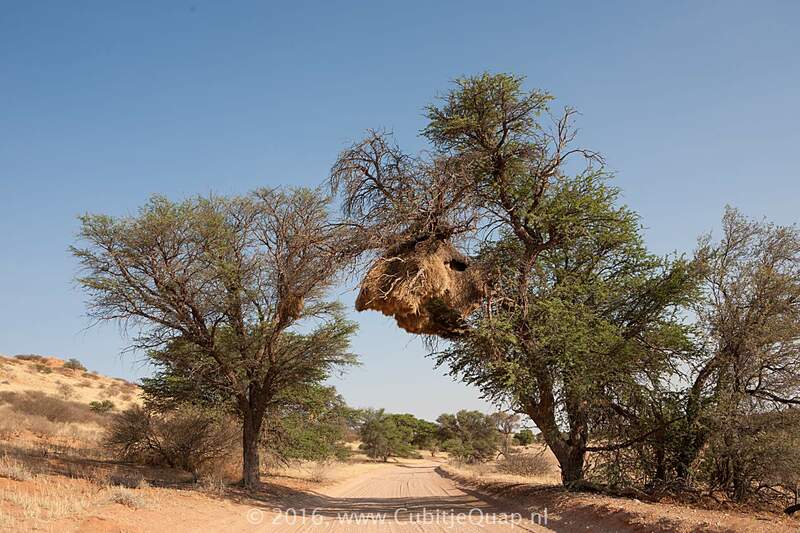 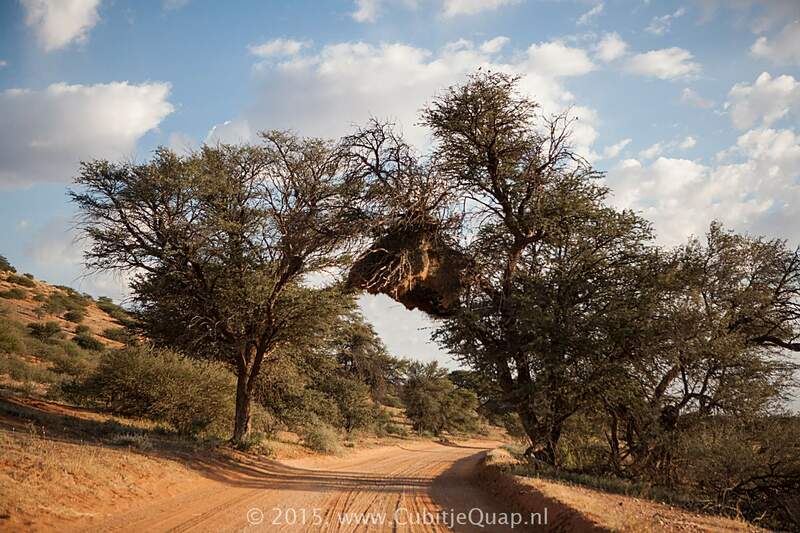 Kgalagadi TP is famous for its huge sociable weavernests. 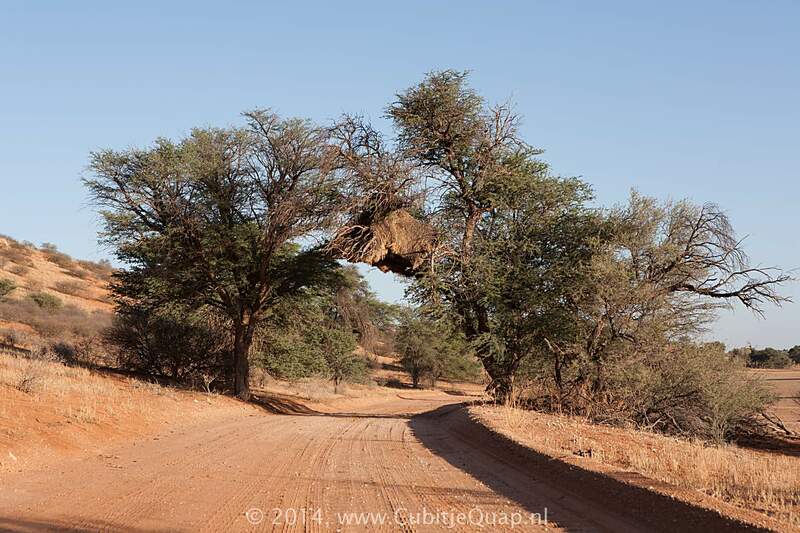 One of the remarkable nests is right above the Auob main track, between 13e and 14e Boorgat. 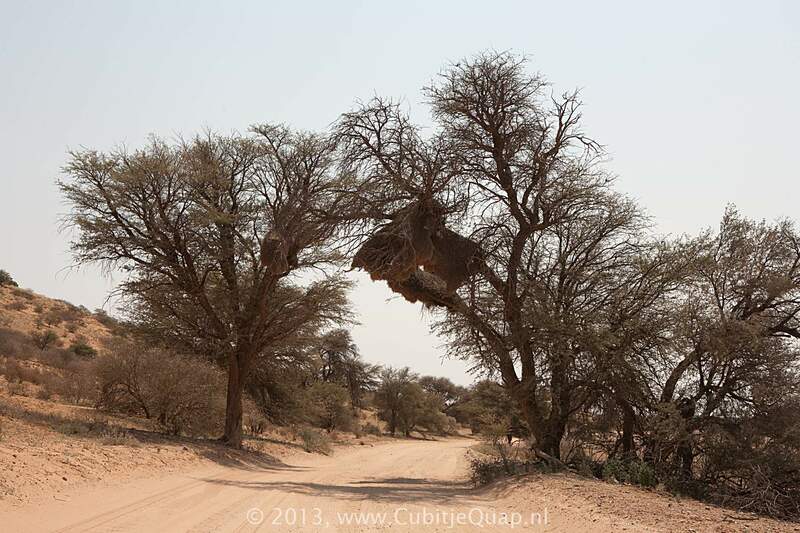 You see the nest watching northbound (direction to 14e Boorgat).